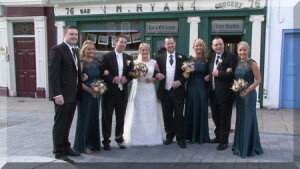 Welcome to Wedding Video Carlow. 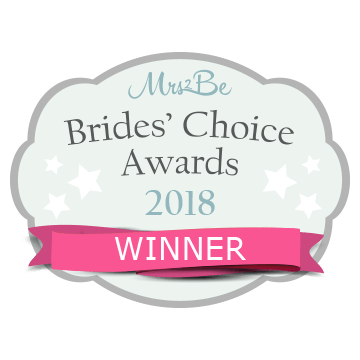 Due to a high demand for my wedding videography services in Carlow, I have decided to make a new website just for wedding videos in Carlow and of course for all videography services in all Carlow areas. 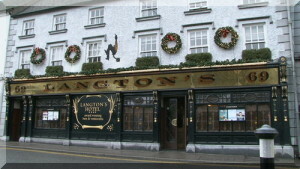 As a result of my years of covering many fantastic wedding videos in and around Kilkenny and Carlow I feel it’s now time to develop my links with this as over 50% of my customers are living in this area and what’s better than having a better selection of local wedding supplier on your door step when you need one. 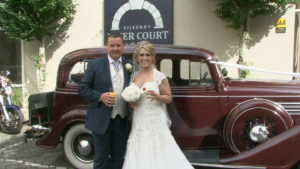 Not only will you get to see my wedding videography services on this new site and also some great video samples filmed in the local area, you will also get a chance to browse ALL of your wedding suppliers in your local area with the ever popular wedding suppler site BRIDES IN MUNSTER. This site has now been going for over a year and has everything from a Wedding Videographer in Carlow to someone to do your nails! 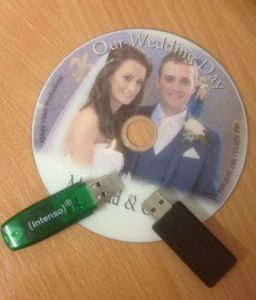 I am passionate about producing stunning and elegant Wedding Videos and DVDs recorded here in Carlow, Tipperary and Carlow. 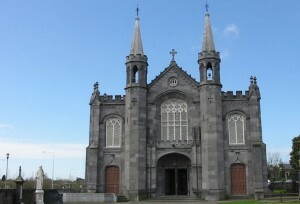 My experience and passion for filming has helped me build my reputation as one of the finest videographers in Carlow. My subtle and discreet approach means that you and your guests will barely sense my presence on the day. I am often complimented on my professional and unobtrusive manner, which naturally helps the wedding guests to feel at ease. At “Wedding Video Kilkenny”, we strive to create a fun, emotional and breathtaking wedding DVD for you to cherish in order to relive your wedding day. Please have a look around my site, and if you have any questions or ideas you would like to discuss, send an email or give us a call. 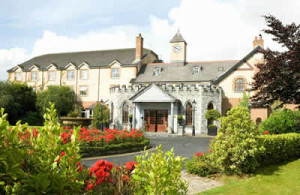 We would love to hear from you, anywhere in Ireland. 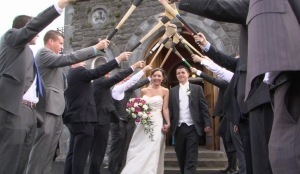 My idea of creating a website just for wedding videography services in Kilkenny following feed back for brides and grooms around Kilkenny & Carlow areas has been a huge success for me. 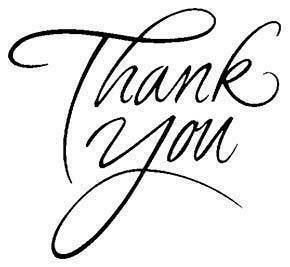 Bookings have been pouring in from the areas I have targeted, and of course its a huge thank you to all the couples that have me booked for this year – 2016 – 2017 and I got my first 2 booking for 2018 ! 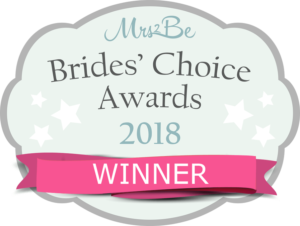 this morning in Kilkenny so happy days there so that’s my little bit of feedback on the site, as one bride said to me today pity some other Wedding videographers did not think of it earlier… well they are to late now ! 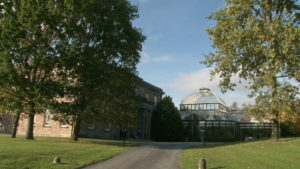 Now talking about Kilkenny, I filmed a lovely wedding there 2 weeks ago for Kelly O Shea & Brandon Walsh, both Kilkenny people, Kelly admitted she priced and looked at samples of other “video” guys but she loved the way my footage flowed and of course my prices, which was very important to her and everyone these days along with my invisible way of filming their wedding day. After the lovely ceremony by Fr Willie Purcell who is great fun and makes every couple relaxed with his approach, o yes and he also commented on how unobtrusive I was …. just thought I get that little bit in there 🙂 we went to Kilkenny castle for the photo shoot and what a day for the Castle grounds , which is rare these days with our Irish weather, we got some lovely walking shots of Kelly and Brandon and where would you be without the famous water feature in the grounds of the castle, As John was taking the last few photographs I made my way to no other than Langtons house hotel in the center of Kilkenny city, where my good friend Sean was on hand with the champagne, Sean is a great guy makes sure all is going smoothly on the day, myself and Sean go back a long way and he always recommends me to couples who is booking their wedding at Langtons if you look at their wedding sheets Wedding video Kilkenny is number one on it for wedding video. 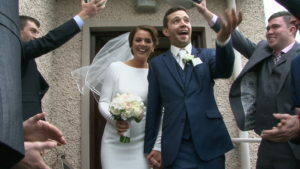 It’s finally feeling like Summer-time, and I must confess as a wedding videographer here in Kilkenny, this is one of my favourite times of the year. In terms of filming, I am given much greater scope for filming the outdoors. Filming is made easier by the fact that the bridal party can spill out into the grounds of their wedding venue, at ease and relaxed in the summer heat. 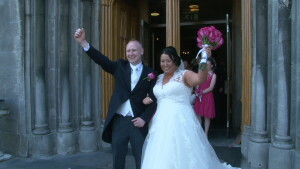 I pride myself on filming my wedding parties in a discreet manner, a skill I have been working on for years. When the wedding guests come out into the sunshine, they relax and my job is made that little bit easier and even more pleasurable. When the sun shines, everyone unwinds, their shoulders drop, and they smile and enjoy the day that little bit more. The extra hours of sunlight also mean I have a bigger window to obtain great footage. In recent years I’ve watched many young couples make the most of the summer weather by moving their celebrations outdoors. This is a great way to keep expenses down and can create a wonderfully relaxed and casual feel to the day. Despite it being summer-time, our weather in Ireland is not always dependable. 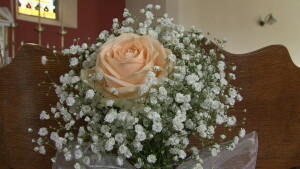 However, having a wedding in summer-time can give you greater freedom in terms of choosing a wedding venue. 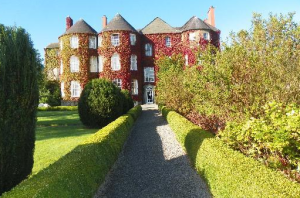 Outdoor weddings are still not licensed in Ireland, but if you are having a civil ceremony at a hotel or registered venue, you may consider venturing into the grounds of the venue for the entire reception or once the meal and speeches have ended. 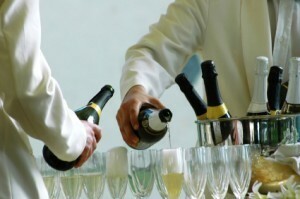 Summer-time can give you greater creative freedom in terms of choosing a venue. Most hotels will have maintained their gardens well and at this time of year they will be in full bloom and looking their best. 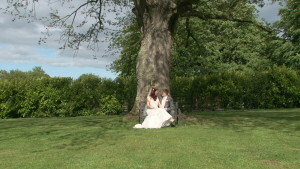 I’ve filmed wonderful family weddings held in the grounds belonging to the bride’s parents. Marquees are becoming increasingly popular and can be borrowed or rented and erected in the back garden. 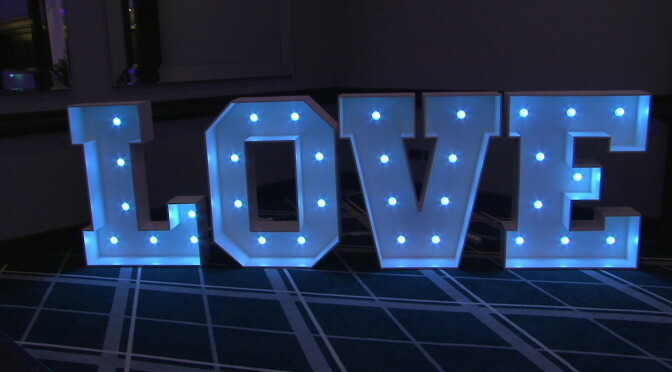 This works particularly well for smaller weddings and is a great way to help keep your wedding under budget. The only possible downside is that the party can go on until the small hours of the morning! And with all that space, you’ll easily be able to accommodate your evening guests as well. When planning your garden, don’t forget you’ll need a generator and lights for the evening-time! Having your reception outdoors can put your creativity to the test. 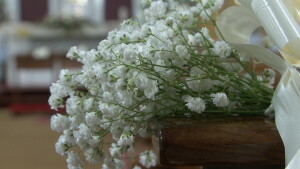 Recently I filmed a wedding reception in a marquee and the bride had decorated the inside with bunches of flowers called baby’s breath, Bristol fairy, or its proper name – Gypsphila. This delicate flower has been popular for as long as I can remember, but now more than ever it has become extremely popular – now it is used for bouquets and centre-pieces simply on its own. 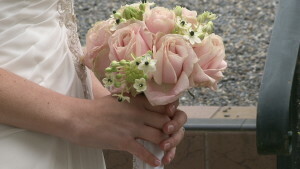 The result was fabulous and an inexpensive option. 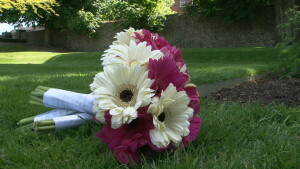 Summer weddings have a much larger colour palette and so give great freedom of expression in terms of colour – summer wedding really pop with colour, usually the brighter and bolder the better. I’ve also noticed brides and grooms becoming more creative over the summer months by wearing outfits slightly less conventional, for example – brightly coloured evening shoes and jewellery for the bride and coloured braces for the groom. 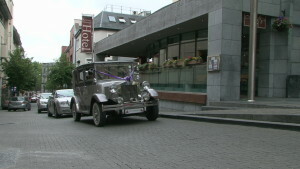 Best wedding video Kilkenny ! Wedding Video Bookings for 2016 and 2017 are pouring in the last few days. Even January this year was as busy as last July and that’s booked out fully again this year! It’s something I have never encountered before but is great to see. Even 2017 is well booked. 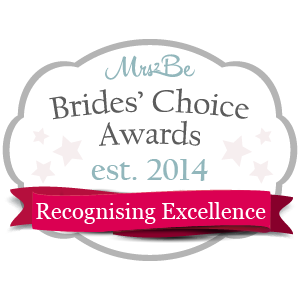 Throughout the year, I have had to recommend some well heeled colleagues of mine to brides for whom I was booked for their date. If I am booked, I don’t just send them a name of the first videographer that springs to mind. I have a few professional guys that I hold in the highest regard and we always recommend each other, should one of us be booked. With this way of working, no couple will get the run around with different prices. I would never recommend someone I would not use my self. Finalist Brides choice awards 2015! 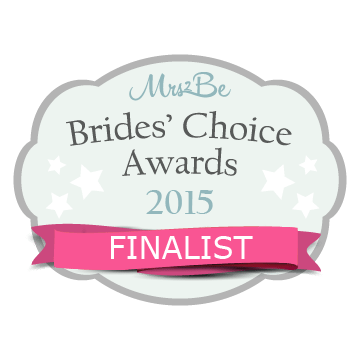 I got some fantastic news early this morning when I was informed I had reached the finals of the Mrs2Be Brides’ Choice Awards 2015 ( Recognising the best of the Irish wedding industry)! But as I said in an earlier blog it it’s not the winning for me … it would be nice, don’t get me wrong, but every wedding video I film whether it be in Tipperary, Kilkenny, Carlow or any of the multitude of other locations I attend, I always give it 110%. Every bride and groom has different ideas for their wedding video, it may be the music they choose or the way they want it filmed – each couple is unique. So when i am booked for a wedding I put a lot of planning into it well before the day, this way from the bride’s house to the first dance I know what’s expected of me – after all, it’s their day. 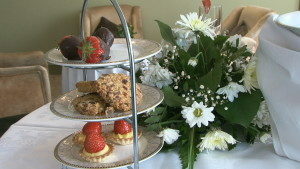 The guests arriving is a very important part of filming as this is something the bride only gets to see on DVD later. The music in the church, the service, the vows, the walk down the aisle as husband & wife – these are all key points. With regards to the music in the Church, I like to leave a wireless microphone or a professional voice recorder near the musicians to capture the audio 100%. Sound is just as important as picture, this is why I always use a wireless mic or voice recorder discreetly placed in the groom’s pocket to pick up the vows and this is removed right away outside the door after the ceremony. The greeting line is a great way to formally meet your guests after the wedding.The bride’s house is a great place to start filming, with all the make-up and the hair being done it can be great fun. It’s a part of the day the groom doesn’t get to see so it’s nice for him to be able to view this later on their finished wedding DVD. The groom’s house sometimes gets filmed but this all depends on timing on the day, as i like to be at the ceremony location one hour before it starts – this time is needed to film the location, the flowers and all the little details in the Church or room where the ceremony is taking place. The photograph session is a fantastic opportunity for me to capture some great video footage. I don’t just film what the photographer is doing but more of a candid covering of the bridal party and their families if they are there as well. If not I will capture them at the hotel. I enjoy filming the guests discreetly in the hotel enjoying the drinks reception, this way i get a great chance to catch up with some late-comers! From there on I film the speeches, which lately tend to take place before the meal – it’s nice to relax and enjoy your meal once they are over and done with! The dancing is filmed discreetly with no light if possible or just a small light on the camera if I need it. 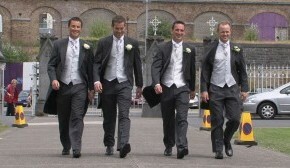 Your wedding will end with a highlights chapter looking back over your day. We have often been complimented on our turn-around time – we try to have the finished product ready when the couple return from honeymoon. I have read and heard of other couples not receiving their wedding DVDs for months, this can happen where only one person is working on a project and gets snowed under.It doesn’t end there… now the hard work starts! The editing can take two days to to complete, but my wife Breda is a pro at this: various effects, titles, adding music, authoring and chaptering the final product, testing design sleeves for the covers of the boxes and the art work on the discs – it’s easy to see where two days goes here!